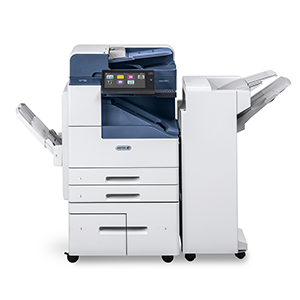 Introducing the latest black and white smart multifunction printer intelligent enough to change the way you work. Offering a next generation, mobile-ready user experience, the AltaLink B8000 Series is built for ease of use, security and the future-proof flexibility of app-based workflows. With 5 devices in the range – B8045 / B8055 / B8065 / B8075 / B8090 – speeds range from 45ppm to 90ppm.